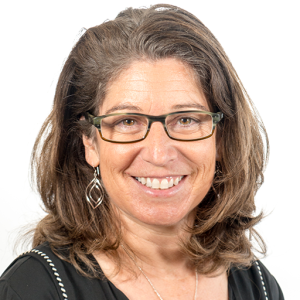 Julie DiBiase leads the creation of Original Content for PCF and brings over 20 years of experience in technology, storytelling, and innovation to the foundation. Prior to joining PCF, Ms. DiBiase ran a creative consulting agency helping brands to translate messaging into action. Prior to that, Ms. DiBiase spent seven years leading Digital for Stand Up to Cancer. Ms. DiBiase earned her MFA in Film and Television from the University of Southern California, her PhD in Computer and Cognitive Science from the University of Colorado Boulder, and her BA from Smith College.